You must be a member of the New York Fitness and Recreation Group to attend this activity. Would you like to join this group? 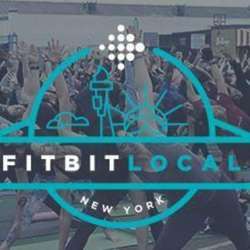 This is a full-body, HIIT bootcamp class with boxing fundamentals led by Fitbit Local Ambassadors Jason Tran & Josh Martinez? No matter what your fitness level, the answer is yes! Come sweat it out, learn to punch and have some fun. Stick around after the workout and enjoy a cash-bar happy hour, courtesy of the W New York - Downtown! This event is all-ages. Please bring a government issued ID if you would like to join the group for a drink afterwards! Wear sneakers and bring a towel and water. Does my registration guarantee entry? Please arrive on-time as the workouts are first to come, first serve to the public. An Eventbrite ticket does not guarantee your spot in this class.